Chicago's concert lineup typically slows down for most of January, and we can't exactly fault touring bands for opting to avoid our city's notoriously fickle (and chilly) winter weather. 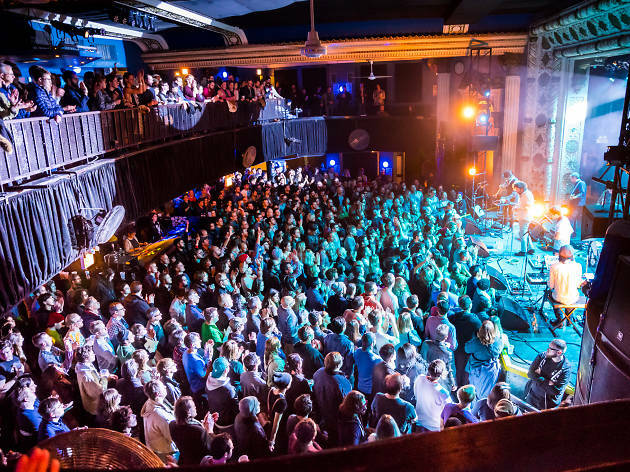 One consistent bright spot in the otherwise sparse array of January gigs is the Tomorrow Never Knows music festival, an annual lineup of shows organized by the folks behind local venues Schubas and Lincoln Hall. 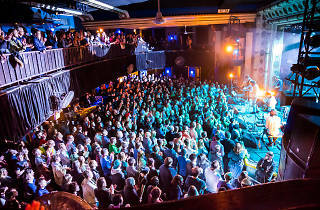 From January 16 through 20, the fest packs the aforementioned concert halls (as well as Metro, Hideout, Smart Bar and Sleeping Village) with rising bands and a few beloved comedians. Organizers unveiled the initial lineup of acts for the 2019 edition of Tomorrow Never Knows, which features Brooklyn power pop act Charly Bliss, local psych-rockers CAVE, alt-country singer-songwriter Sarah Shook and L.A. beat scene producer MNDSGN. As usual, the Hideout will host a handful of comedy acts, including appearances by surreal stand-up Kate Berlant, satirical comedian Neil Hamburger and Chicago's bodily fluid-obsessed variety show, Helltrap Nightmare. Take a look at the first crop of Tomorrow Never Knows 2019 shows below and stay tuned for additional announcements leading up to the fest in January.